Probing Galaxy Evolution with Structures, Chemo-dynamics and Star Formation Histories of resolved galaxies. 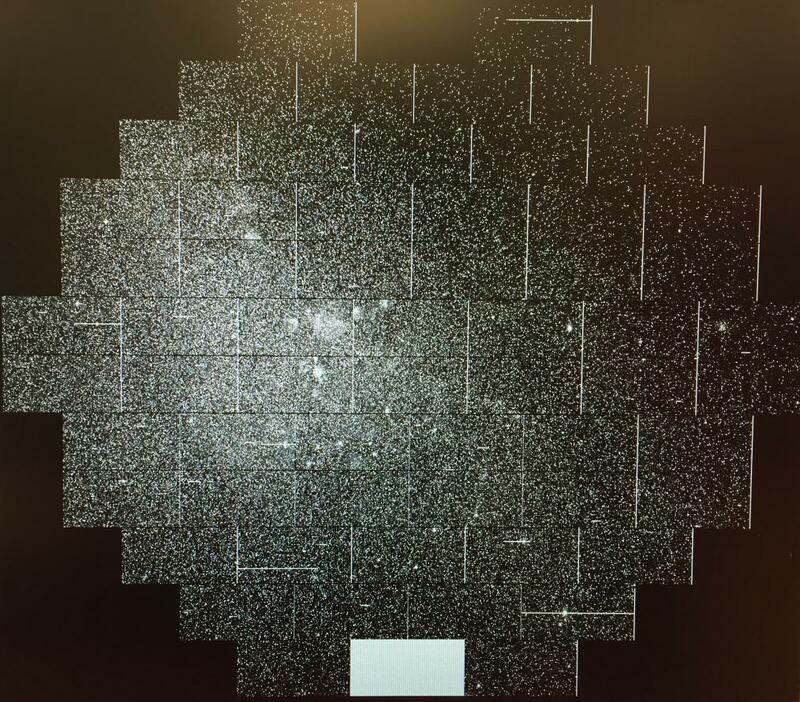 "The SMC from the DECam monitor at 4m CTIO"
Our research aims at investigating fundamental questions concerning the formation and evolution of galaxies from the smallest galactic scales to those of large spiral galaxies by adopting the approach of “galactic archaeology”. By determining the ages, metallicities and kinematics of individual stars, in particular low-mass stars, whose life-times are longer than a Hubble time, it is possible to reconstruct the way galaxies evolved from the earliest times to the present day. This approach can be applied in its full potential to the Local Group, thanks to the suite of state of the art current generation observing facilities such as HST, the VLT and the GTC, to mention a few. The Local Group is a goldmine for resolved stellar population studies of galaxy formation and evolution, as it hosts representatives of all galaxy types, with the exception of a large elliptical galaxies. Our goal is to obtain a detailed characterization of the star formation history and chemo dynamical properties of the stellar components of a variety of Local Group galaxy types, from fossil galaxies like the ultra-faint dwarfs, through small disk galaxies like M33 and the Magellanic Clouds, to a large spiral like the Milky Way. Our projects deals with hot-topics in "near-field" cosmology, attacking them with state-of-the-art data and methodologies. We adopt a comprehensive and multi-faceted approach, in which different techniques such as deep colour-magnitude diagrams, analysis of variable stars, and wide-area multi-object spectroscopy, are used in a complementary way to provide a very detailed view of the observed evolutionary status of the galaxies under examination.